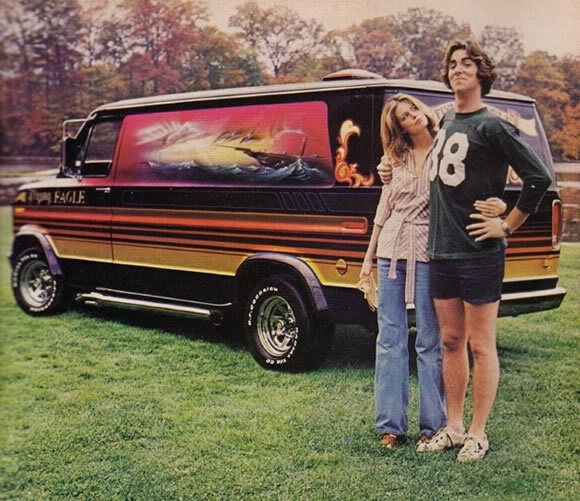 The 70's van craze passed me by but there have always been a few 'Shaggin Wagons' floating around. Customisers put a huge amount of detail and time, not to mention $$, into what were commercial vehicles. For the 70's they were the ultimate way to express yourself and do whatever you wanted to do, wherever you wanted to be. Check out some more great pics on The Selvedge Yard blog here and if you have some pics of your own shaggin wagon I would love to see them.